Adjustable beds have been around for many years, but in the past they had the stigmatism that associated them as hospital beds or for the elderly only. While they still can be hospital style beds, today's much more modern adjustable beds appeal to the much younger generations through newer technology that not only makes them more visually appealing (most look just like normal beds now), but also have features such as massage and zero gravity that make it useful for everything from Acid Reflux and back conditions to those that just want to sit-up in bed and watch T.V. or read a book. 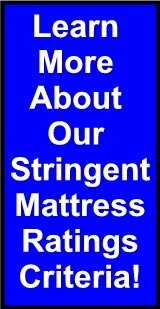 The adjustable beds we have reviewed will each have unique features that you can read about in the summary or scroll down a bit further to the table where we list all the specifications that easily allow you to better understand the important features of each adjustable bed. You can even add them to your comparison page, where you can compare each individual model to one another in the comparison chart format. Be sure to check and see if any of these have been reviewed by a real customer who has had a chance to try it out and give it a rating according to whether the bed met all of their expectations. You can sort these individual adjustable bed reviews below, and please feel free to add your own review by signing up for a Beds.org free membership, where we even let you store the notes you feel like adding to your comparison chart to help you be able to make the best decision for your future purchase. Oh, and be sure to add your review once you decide on which one is right for your needs, as we can only help each other as a community if we give as well as receive! Below are the Adjustable Beds that have been reviewed so far. You can sort these by bed name, classification, motor, price and star ratings. leggett and platt pro-motion 5 (1)Reviews leggett and platt pro-motion c$$$ Whisper Quiet DC motor. Craftmatic Monaco Models 3 (1)Reviews Craftmatic Monaco Models d$$$$ Whisper Quiet, 600-lb lift cap. Brio Adjustable Bases 1 (1)Reviews Brio Adjustable Bases b$$ ?? leggett and platt s-cape 0 (0)Reviews leggett and platt s-cape d$$$$$ D.C. current. Whisper Quiet HD high-performance motor. leggett and platt simplicity 0 (0)Reviews leggett and platt simplicity d$$$$ Whisper Quiet motor. DC motor System. leggett and platt bronze 0 (0)Reviews leggett and platt bronze c$$$ Whisper Quiet AC motor. Leggett and Platt Elite Adjustable Base 0 (0)Reviews Leggett and Platt Elite Adjustable Base c$$$ Whisper Quiet DC motor. Reverie 3E (Essential Plus) 0 (0)Reviews Reverie 3E (Essential Plus) b$$ Whisper Quiet DC motor.